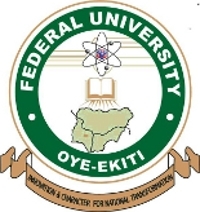 Federal University Oye-Ekiti, [FUOYE] Pre-Degree First [1st] and Second [2nd] Batch Admission List of Candidates Offered Provisional Admission for 2018/2019 Academic Session. Authorities of the Federal University Oye-Ekiti, has released the list of candidates offered provisional admission into the various Pre-Degree Programme for 2018/2019 Academic Session. FUOYE Pre-Degree 1st and 2nd batch admission list has been successfully uploaded on the university official portal. Prospective candidates are to follow the link http://fuoye.edu.ng/en/2018-2019-pre-degree-admission-list to access the FUOYE Pre-Degree Admission List. ALL ADMITTED CANDIDATES ARE TO REPORT TO THE PRE-DEGREE DIRECTORATE AT ITAPA-EKITI FROM MONDAY, THE 15TH OF OCTOBER, 2018 WITH N30,000 ACCEPTANCE FEE AND SCHOOL FEES OF N140,000. PLEASE ENSURE YOU COME WITH THE NECESSARY DOCUMENTS AS REGISTRATION COMMENCES IMMEDIATELY. PAYMENTS SHOULD BE MADE IN TWO SEPERATE BANKDRAFTS ADDRESSSED TO FEDERAL UNIVERSITY OYE-EKITI. BELOW ARE THE ADMITTED CANDIDATES.